"For the third year in a row, we have opened a Satellite 48th Ward Service Office on Argyle Street. Please join us for a series of informative events on Tuesdays at 1006 W. Argyle. 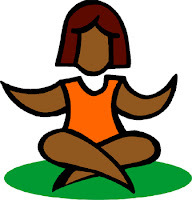 At 10:30 am this Tuesday, August 25, we will be offering another Gentle Yoga session with certified yoga instructor Toni Scott. Then at noon, we will hold a Women's Safety Workshop to discuss safety issues and learn some self-defense tactics from the Chicago Police Department. Our office hours at this location are 10 am-3 pm Tuesdays, noon-8 pm Thursdays and 10 am-1 pm Fridays through August 27, with occasional office hours at other times as well. Click here for more information on the safety session"